KC Karnes from CleverTap, the Intelligent Mobile Marketing Platform, reviews key metrics for mobile apps: which ones will increase mobile app engagement, and which of them you definitely must avoid. KC Karnes is a well-known marketing strategist and entrepreneur responsible for growing some of the hottest technology companies in Silicon Valley, including CleverTap. 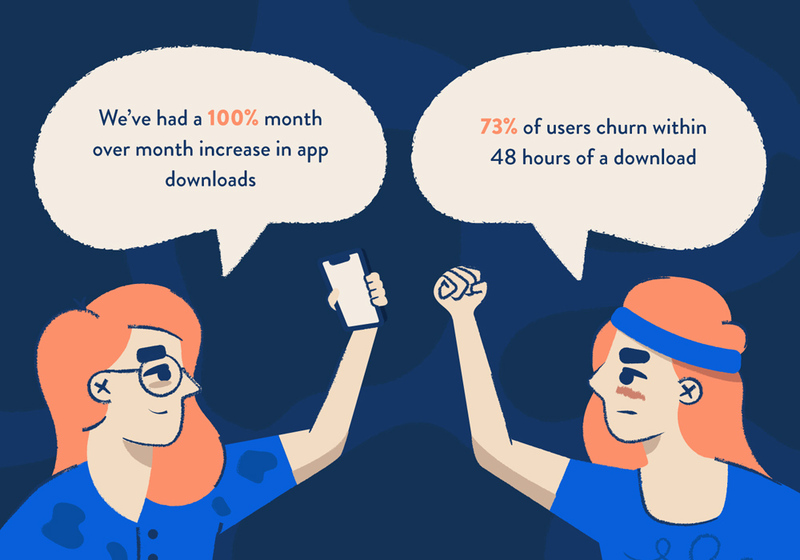 It’s easy to obsess over the numbers that drive your app, but you’ll have to dig deeper to define what makes your app successful. 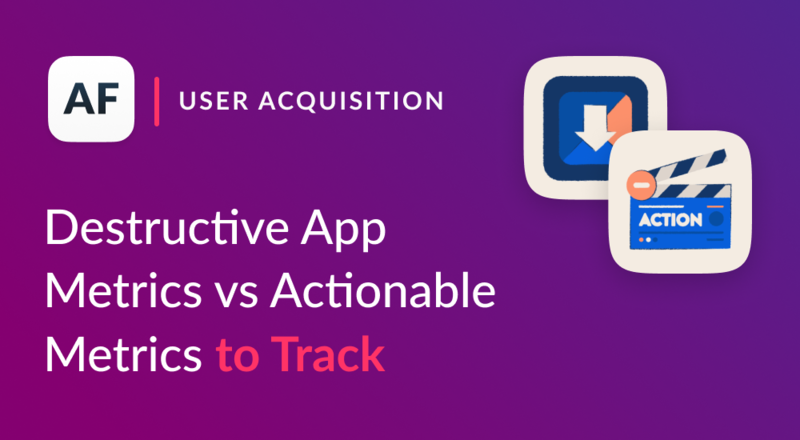 Discovering the fundamental differences between vanity and actionable metrics is essential for your mobile app growth strategy. With a fluent understanding of these two, you’ll learn why you should stop tracking certain stats and instead rely on app metrics that matter. What Do Vanity Metrics Mean For You App? Vanity metrics mislead you with numbers that inflate your ego. These numbers can change quickly, and they don’t have a direct correlation for numbers that accurately portray your mobile app growth. What’s worse is that you can waste time and energy focusing on these stats. But what are they? For example, if you’re in charge of a social media app, you might get excited to see the number of followers you have spike up. What these numbers don’t tell you how many of these new followers actively engage with you. Vanity metrics simply have little meaning. They don’t give a true measurement for the success of your app. 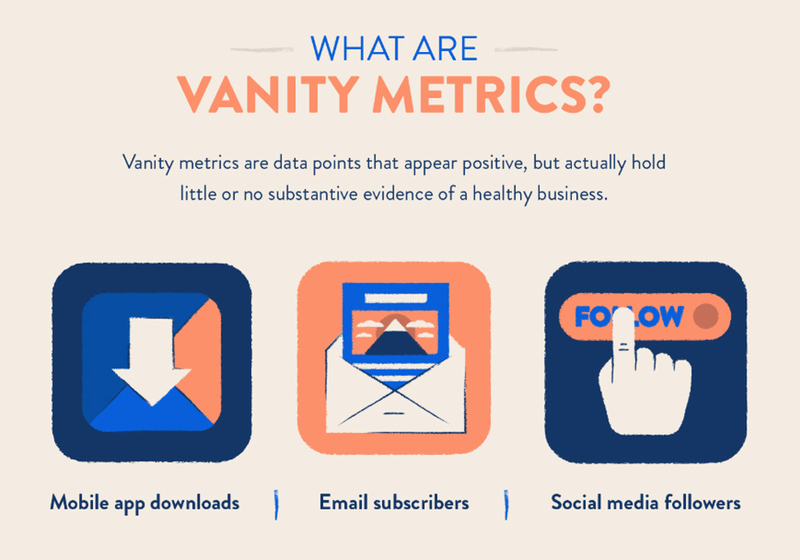 Why Should You Avoid Vanity Metrics? It’s common for people to track these kinds of vanity metrics. What’s scary, however, is that these people don’t understand why they should avoid them. Businesses sometimes turn to vanity metrics to cover up poor results and slowing growth. That’s when it becomes important to track the root cause for these stats. It opens up the opportunity for you to explore why your business or app stalls. To do this, you’ll want to research your stats that have actionability and add value to your app. An outstanding example of how well-known companies decipher between vanity and actionable metrics comes from Microsoft. In 2016, Microsoft opted to abandon publicly tracking console hardware sales. Instead, Microsoft focused on their metric reports of monthly active users (MAU) of their popular Xbox Live Service. In this example, the vanity metric is the running total of console sales. This number is a poor indicator of success because it's tied to a one-time hardware sale rather than recurring service subscription revenue. It’s hard to tell how successful these metrics were because of the number of avid Xbox users versus an Xbox collecting dust in a room. Tracking active subscriptions metrics gives more substance and reflects the success of the Xbox Live service. The key to making your vanity metrics work for you is to introduce them as a starting point for your business. Take time to question the vanity metrics you already track, and be wary of how misleading they can be for your business. Costs Per Install might be helpful for individual marketing campaign performances, yet it doesn’t point out meaningful details for the business’s unit economics. Customer Acquisition Cost summarizes your cost per install and conversion of an active, paying customer. Use this stat and compare it to the customer lifetime value. This helps determine your app’s sustainability. Number of Downloads doesn’t mean much if engagement and retention rates decline. They create the illusion of a prosperous app. Daily Active Users indicates how integral the app is in the daily lives of customers. A growing number of daily active users signals sustainable growth. Number of social media followers may make you feel like people are interested in your app. However, you have to consider how many are following through and engaging with it. Push notification opt-in and open rates are key metrics to follow that help you effectively prompting your users to take the desired action. Be wary for how much time and energy you place into vanity metrics. On the surface, these numbers look promising, but they don’t tell the whole story. Once you understand the fundamentals between actionable and vanity metrics, you’ll learn why certain stats aren’t important. This will save you time and energy, as you uncover the real insights to increase mobile app downloads and engage your users. It’s better to embrace the reality for how your business performs than to deceive yourself.